Michael is, by far, the best realtor I have worked with. He is extremely proactive in taking steps to both find you the right home, but more importantly help you get it. Living remotely, Michael managed all the "leg work" required around inspections, obtaining elevation certificates, and obtaining general information needed to close. Michael was always readily available and provides very quick answers to questions. He stayed on top of the closing process and ensured I knew what to do and by when. This was very helpful never having purchased a home in Florida. Additionally, Michael took the time to show me the local area and key points of interest. I highly recommend using Michael as your realtor! 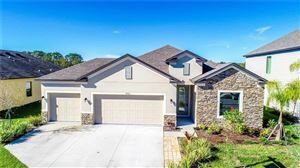 My family and I were relocating to the Tampa area from out of state and hadn't had much luck with finding a good realtor. I ran across Michael's advertisement and gave him a call. From there on out he was always available and ready to work. He closely listened to our wants and needs and immediately began sending listings and setting up times to view. One thing that made Mike truly great from other agents is the fact that he did not limit his work to a specific area. Coming from another state left us unsure about what each area had to offer and mike worked diligently to help us find that special place. Michael was never pushy and made the entire process enjoyable. 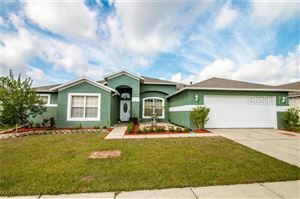 He worked through all the paperwork and delays of a short sale for us and kept us informed through each and every step. I can honestly say that there are not too many left like Michael out there. You couldn't find someone with better communication or a stronger work ethic. He will go the extra mile! My husband and I will recommend him to anyone ever looking for a home or sale and we could never thank him enough for putting in his extra time and efforts. We flew in from Pa. and had pre-arranged everything with Mike Simpkins. All the information we requested was waiting at our hotel. The following day Mike took us around the entire Tampa area and surrounding communities. We viewed over 14 houses. His knowledge and understanding of the real estate market is invaluable. I have yet to meet a real estate agent as dedicated and forthright as Mike. I have never worked with a realtor as good as him..He is the BEST!! Always just a phone call or text away..He always answered and was on the ball with EVERYTHING..Very knowledgeable and personable..We will recommend him to all our friends and family..If you dont use him your loosing out.. 5 stars just isnt enough when it comes to Michael Simpkins..
1. More than 30% of all homes sold last year were foreclosures. 2. Foreclosures sell twice as fast as conventional resale homes. Not everyone that looks into foreclosures will buy one, but everyone is interested in saving money and foreclosed homes provide the promise of savings. CNNmoney reports “A whopping 27% savings when buying foreclosures”. In today’s Real Estate environment, foreclosures come in all shapes, sizes neighborhoods and prices ranges. The information contained herein has been provided by MFRMLS. IDX information is provided exclusively for consumers' personal, non-commercial use, that it may not be used for any purpose other than to identify prospective properties consumers may be interested in purchasing, and that the data is deemed reliable but is not guaranteed accurate by the MLS. 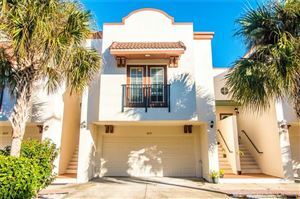 Listings last updated Apr 23, 2019 6:46:pm.